1. 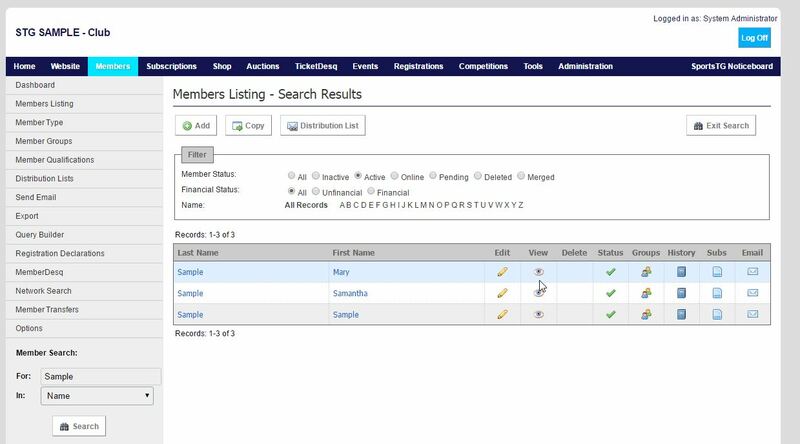 Within the Member Listing, access the Member Detail page by searching for the member and viewing their profile. 2. Click Subscription at the top of the page. 3. Ensure that the correct Subscription Type is selected and then click Next. 4. Check that the details are correct and click Generate. Once a member has been added into the database, a payment will need to be made to make them a financial member of your organisation. The member can make this payment through the MemberDesq Portal, or the administrator can complete this through the Management Console. 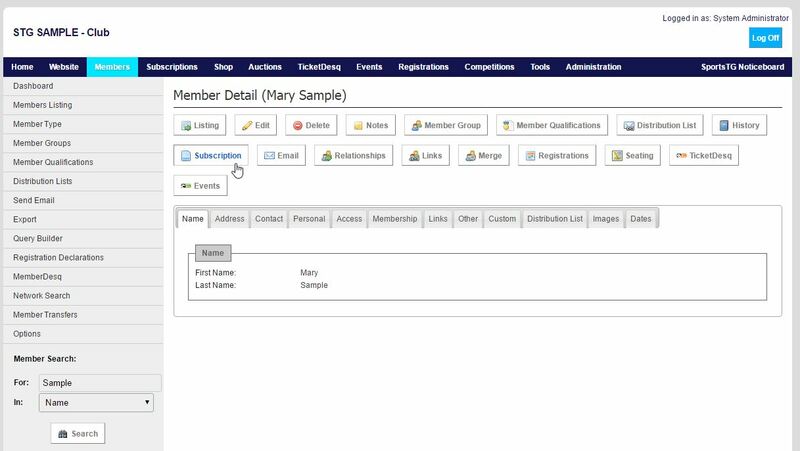 There are then two options for generating a subscription for a member through the Management Console, you can either do this through the Member Listing or through the Subscriptions menu.